Mask off! The end is near. Previously on The Four… catch up with episode 38 recap! 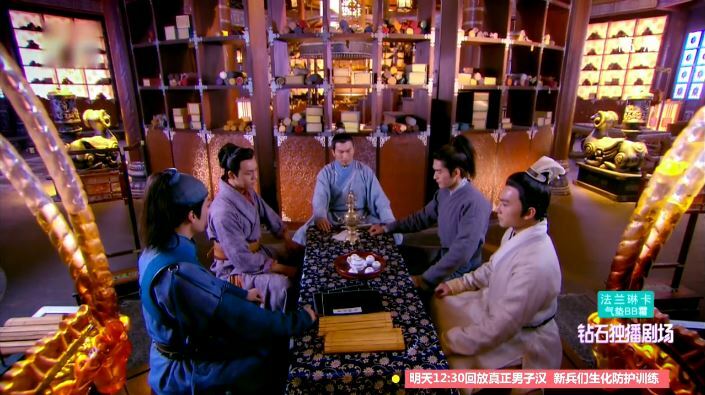 The Four meet up with Zhu Ge to report on what they saw – the transportation of the gasoline and also the fact that Ji Yao Hua has turned a blind eye to it all. Leng Xue takes this opportunity to bring up what Li Mo saw in Ji Yao Hua (ASG’s shadow) and everyone is all like oohhhhhh. Yup. Leng Xue finishes up with the men and returns home to find Li Mo gone!! Oh no!! Ji Yao Hua appears from around the corner. What does she want? Just then a piece of black fabric flies in. Leng Xue opens it up to find a note about Li Mo’s whereabouts. Leng Xue and Ji Yao Hua run out, pass these two random arches. Seriously, no idea why these wooden arches exist, but anyway that’s not the point. 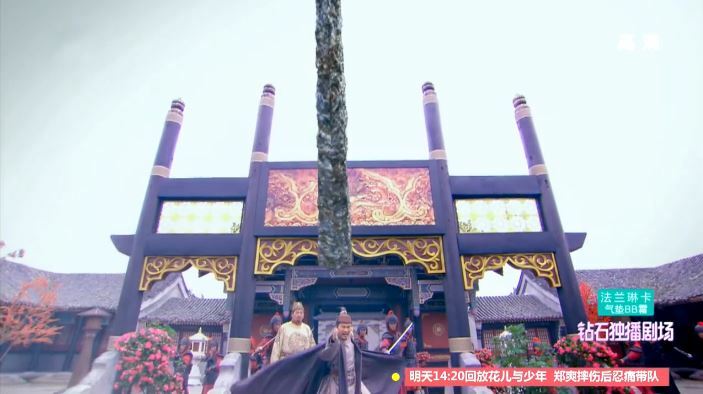 Sudden they see Li Mo hanging up on a wooden asterisk like thing. No, really, check it out; it’s not a cross! Before either of them can react, ASG appears out of nowhere and pulls Ji Yao Hua up on another asterisk. ASG launches into a long speech about how each of the two girls loves Leng Xue and blah blah blah. 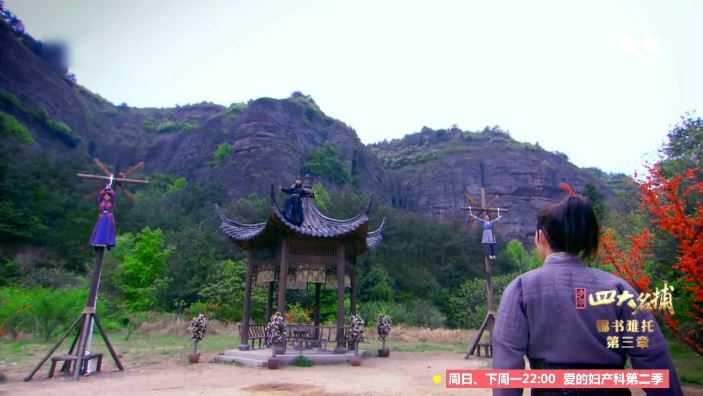 Then a swarm of archers show up; ASG explains that he will shoot whomever Leng Xue decides to give up on. 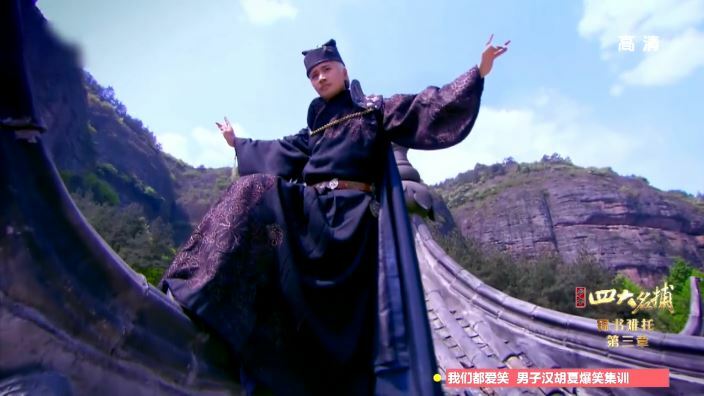 Leng Xue coolly announces that he will not save Ji Yao Hua because she has already betrayed Shen Hou Fu. A disappointed Ji Yao Hua blames Leng Xue for what has happened so far and for her downward spiral. 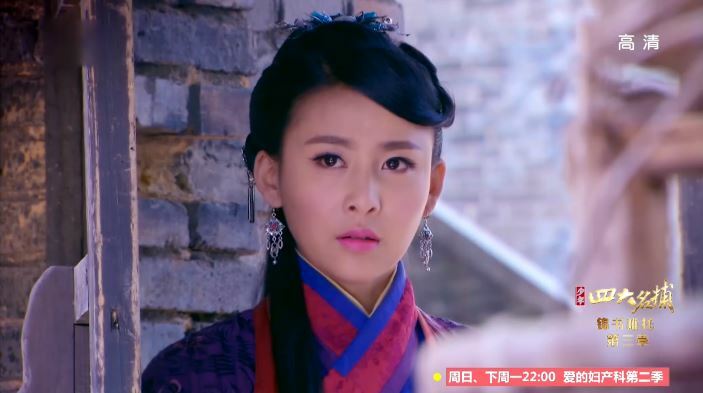 Leng Xue asks her one last time if she is willing to turn back and admit her fault to Zhu Ge, but she shouts that it is now too late. But oh wait! 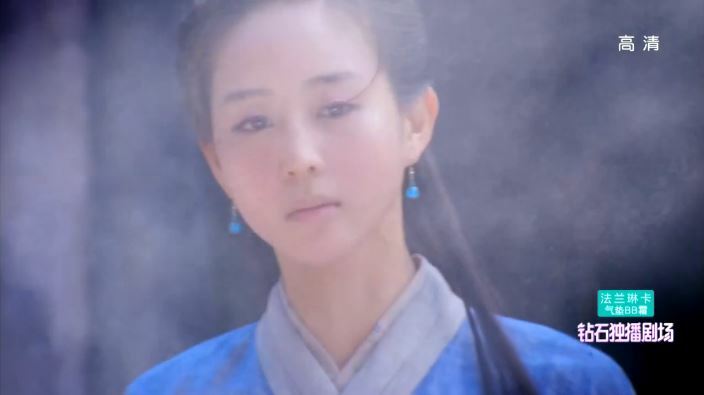 Li Mo speaks up and asks Leng Xue to save Ji Yao Hua instead because the latter saved her before. 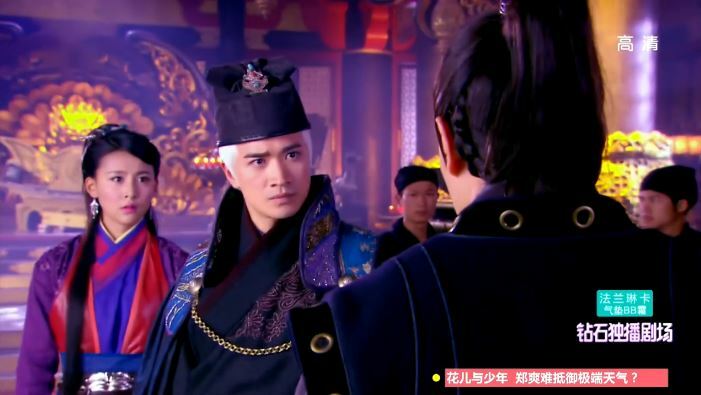 Ji Yao Hua refuses and claims that Li Mo was super inconsiderate in secretly getting together with Leng Xue. OH MY GOSH. Is she for real? 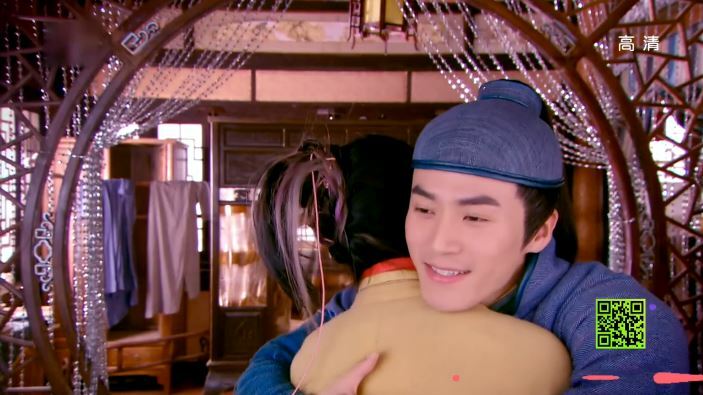 After all is said and done, Leng Xue rescues Li Mo while Ji Yao Hua flies away with ASG. Elsewhere, Zhu Ge uses the Emperor’s special plaque to arrange a meeting with uncle. He reveals his suspicions about ASG to uncle, who finally agrees to investigate. Uncle arrives at ASG’s residence with tons of soldiers and demands to inspect the location. ASG does not obey and actually come out to specifically state his desire to take over the throne. He sends out a bunch of ninja soldiers who have become totally cray cray after inhaling some of ASG’s weird smoke thing. 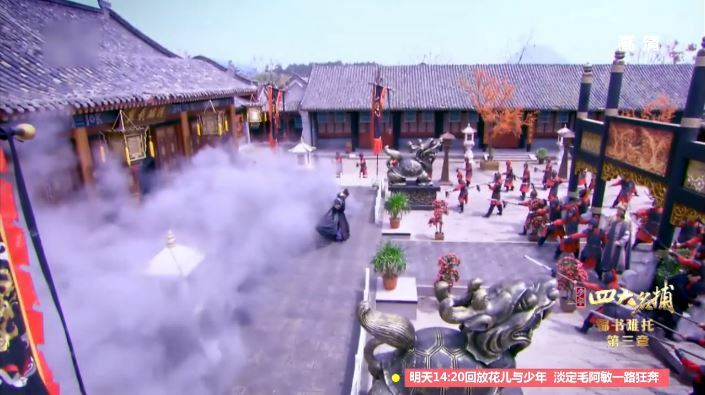 Uncle’s royal soldiers are no match for these ninjas so Zhu Ge is forced to come out to play. However, Zhu Ge’s skills aren’t enough to defeat ASG, allowing him to successfully escape. asg’s special attack – flinging of dust! look! fake cgi rock pillar! Haven’t had enough? Click for episode 40 recap! ASG offers Ji Yao Hua a new magic m&m that promises to help her become emotionless. 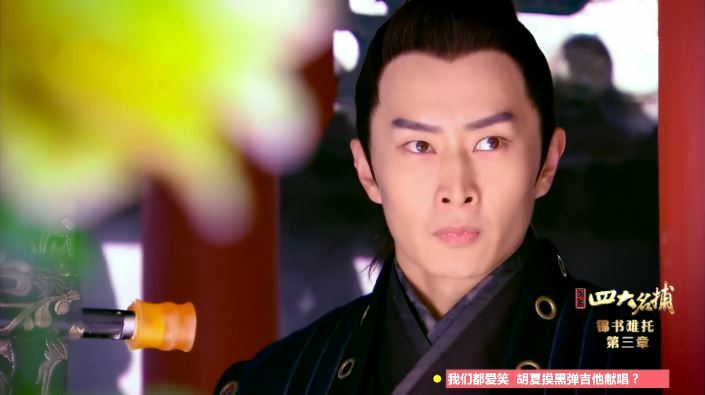 Yu Chun Tong decides to dish out all dirt on ASG when he sees how powerful Zhu Ge is. He is only able to reveal where the gasoline is before ASG kills him. Yi Yi faints in front of Shen Hou Fu and finally makes up with Tie Shou. I’m a little upset that he didn’t even try to look for her this whole time. What the heck man. Boy! ASG is one egotistical maniac! JYH? I give up! Since when does ‘I like you’ equates to ‘You have to like me’? Yeah, welcome to JYH’s world of nonsensical love! Tie shoou takes yiyi for granted. Seriously! I thought he should’ve at least made an attempt to look for her or something. He was left of way too easy! IKR I felt the same way, it made me so mad. I also hate the fact that they always gloss over the fact that Yiyi misfortune was largely cause by her meeting Tie Shou.